Becomes the only radio network in India to offer an exclusive Hindi website. Radio City, a part of Music Broadcast Limited (MBL) and a subsidiary of Jagran Prakashan, announced the launch a web platform - radiocity.in Hindi. With this Radio City has become the only radio network in India to offer an exclusive Hindi website. Speaking about the launch, Abraham Thomas, CEO, Radio City, says in press statement, "Regional language internet users have been growing at a much faster pace than English with 38 per cent of the total Indian internet user base expected to comprise of Hindi users by 2021. Organic engagement for local content is comparatively higher and we want to tap into this potential while providing our regional users the ease and accessibility to content in Hindi." "The launch of radiocity.in Hindi aims at addressing the needs of this growing plethora of tech savvy regional audience to provide them with the best content in the most convenient format," he adds. 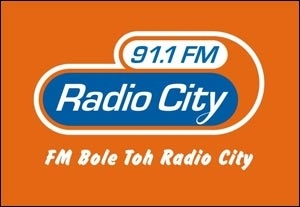 With the introduction of the new Hindi web-avatar, Radio City listeners will now be able to access premium content on http://hindi.radiocity.in/, which will serve as the e-face of Radio City's 39 stations. The launch of radiocity.in Hindi is aligned with this strategy of diversification and localisation by offering its digital platform for their regional audience. With dedicated Hindi playlists and podcasts of the most popular Radio City shows, the website will also offer premium Hindi web radio stations cutting across film, international and devotional genres. 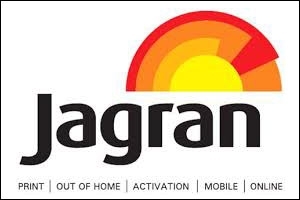 Commenting on the development, Rachna Kanwar, COO, digital, Jagran New Media, says, "As we expand into more cities and genres this year, the first logical extension online will be to make our content available to listeners in their preferred language. As a large chunk of our audio content is in Hindi, it only follows that we make this option available to listeners who consume content in Hindi. This is a first of its kind initiative towards language personalisation by any FM network in the country and we hope to further diversify into multi-lingual offerings in the future." Radio City originals like Love Guru - the one-stop shop for all the answers about love, relationships and beyond, GIG City - India's first radio concert, Joke Studio - the ultimate comedy destination, Babber Sher - the longest running sparkler on Indian Radio and Radio City Gold featuring the legends of Indian music, among others, will now be available to the online Hindi listeners. A licensed music streaming website, www.radiocity.in, offers 46 web radio stations streaming music across various genres. Recently added radio stations include artist radios such as Lata Mangeshkar Radio, RD Burman Radio, Kishore Kumar Radio, Mohd Rafi Radio, Dr.Rajkumar Hits, KJ Yesudas Hits and Kamal Haasan Hits.